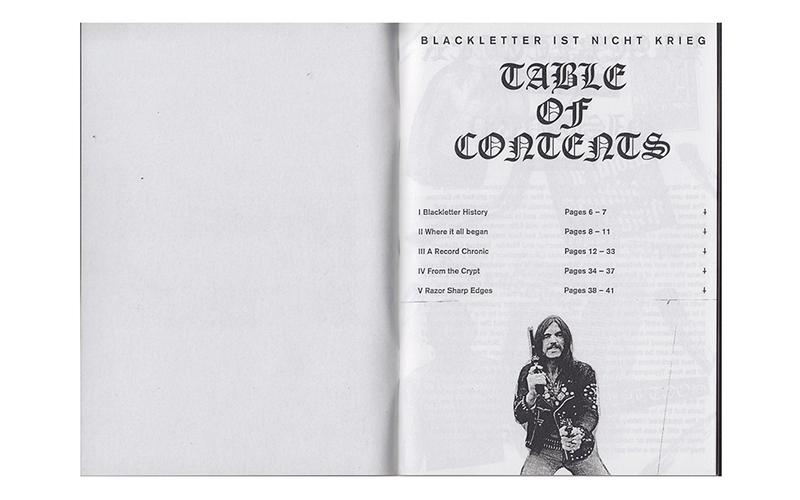 Blackletter typefaces lead a hybrid existance. In part they currently see a huge revival of hipness, on the other hand they are still widely dismissed as Nazi typography, especially in central Europe. And then there’s a whole lot of subcultural scenes that have incorporated them deeply into their identity such as in Black Metal. 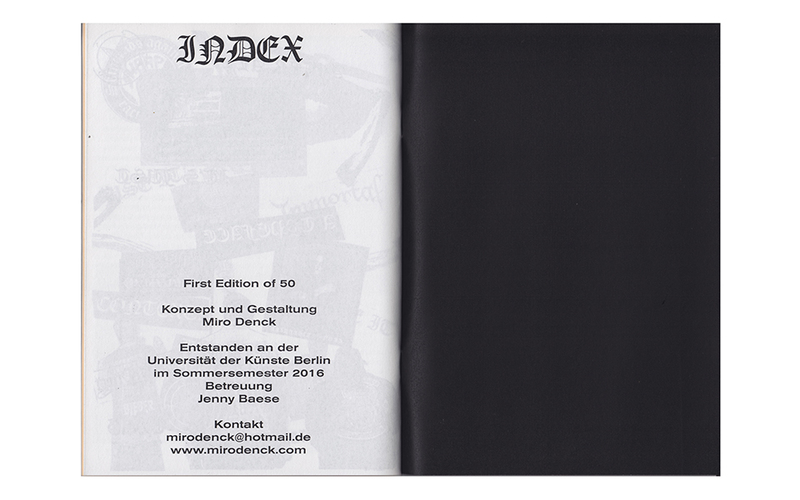 In this Xerox zine I approached the use of blackletter typefaces in the history of pop music and informed about their actual potential as a beautiful form of typography to get it out of it’s nicheness.